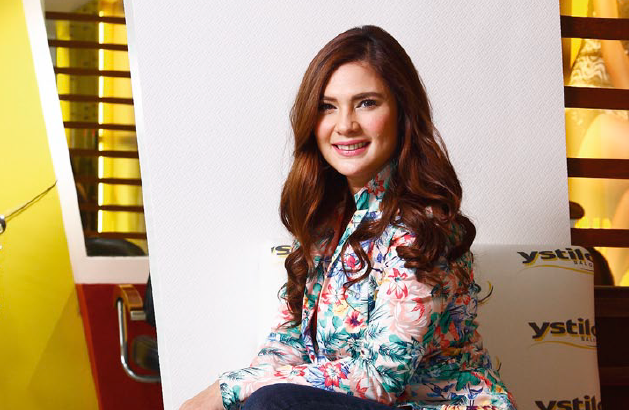 On TV and movies, Vina Morales is all about make-believe, but when it comes to running her salon business Ystilo, she’s keeping it real, as the company re-brands in a bid to widen its market reach and become a salon for the people. The re-branding is meant to move away from Ystilo’s celebrity-salon status after having a strong lineup of celebrity endorsers. “The change in branding is just a change on the emphasis. We want to tell people that spending a day in the salon need not burn a hole in their pocket. You don’t have to splurge your entire paycheck just to get pampered,” Morales says. Contrary to most celebrity-endorsed salons, Ystilo has price points targeted towards the greater segment of the market. While many might think a visit to a salon would mean spending time with a celebrity stylist and burning through a wad of cash or maxing out her credit card, Morales thinks otherwise. “We want to change that perception. Our philosophy is that if a day at the beauty salon is considered luxurious, we want to make this luxury available to more people. It’s something we call ‘low-priced, but high-quality chic’,” she says. While a celebrity endorser herself, Morales is very much aware of the limitations of such endorsements. “It would be foolish, or at least dishonest, to deny that celebrity endorsements help, but it’s not everything. What is important is the consistency of the excellent service we deliver. We maintain the highest level of quality control for our materials and we try to be generous with our add-ons, like free Wi-Fi, elegant waiting areas, and many others,” she says. Morales would not call Ystilo as a dominant player. It’s a term that is quite unrealistic, the singer-actress says. “Right now, ‘dominant’ is not a word we use here at Ystilo. It’s an unrealistic aspiration at the moment. Our main objective has always been to bring the Ystilo experience to a broader market, to give more people the chance to feel better about themselves,” she says. By making their version of luxury more accessible, Ystilo has seen the business grow. “Ystilo is doing pretty well. We have seen a truly marked expansion of our market and, from the looks of it, we can see it grow bigger in the next couple of years,” Morales says. Morales enthuses that they go the extra mile to keep the staff happy knowing that the business is service-oriented and people-driven. Having happy people in the organization is one way of ensuring that they deliver the highest level of service.